This book gathers within its covers the collective wisdom and experience of the most senior and respected figures in the field of straw bale construction. The enormous environmental and energy-conserving properties of straw bale construction are now well-known, and this book is the essential reference for architects, engineers, building officials, lending institutions, and anyone else interested in building with straw bales. If you intend to design or build with straw bales, just get this book to your design team, and they'll have everything they need. And if your building inspector needs information, this book provides answers. While there are many lovely picture books on straw bale houses, this is the book that shows how to do it right, and why. A registered structural engineer for 28 years, Bruce has worked on high-rise structures in San Francisco, aircraft remodels in Miami, Tahitian resorts, Buddhist monastaries in the Colorado Rockies, passive solar designs all over the world, and hundreds of houses of every shape throughout North America. 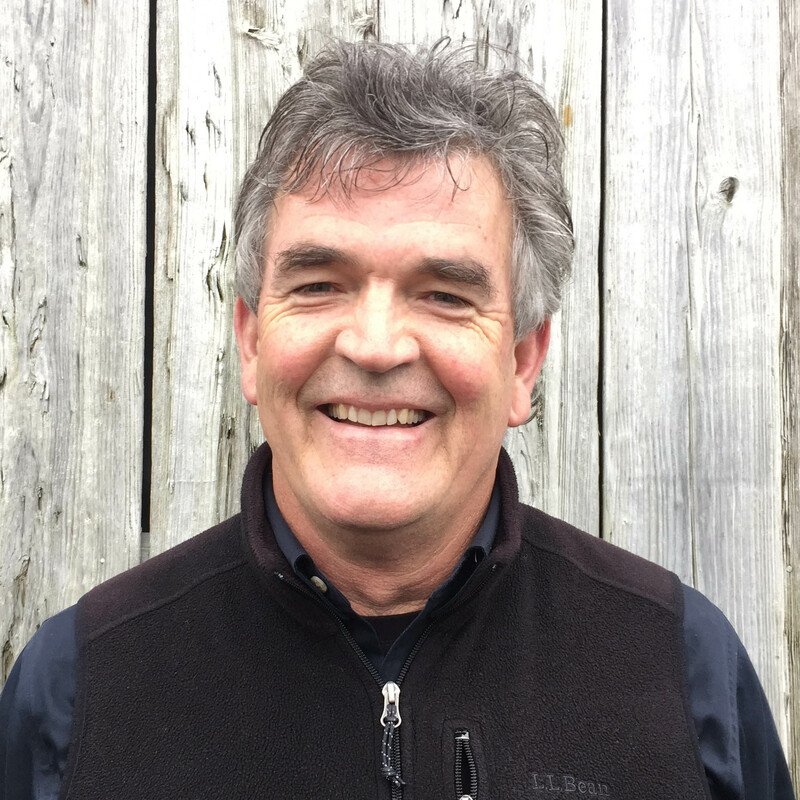 He has lectured and taught ecological building practices internationally, and serves as an advisor to numerous entities, including GreenBuildingAdvisor.com. He is co-founder of Green Building Press and Ecological Building Network, and is the author of Buidings of earth and straw, Making Better Concrete, and Design of Straw Bale Buildings. He lives with his family in San Rafael, California. "Anyone who is considering the design and construction of a straw bale building would be wise to read this book first." 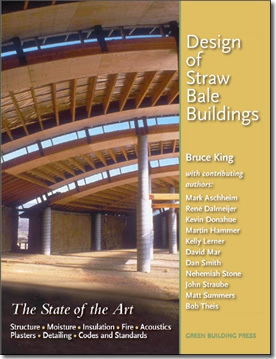 "Bruce King's previous books have become essential references, and I am sure this well-structured volume will become the standard reference of straw bale construction." "This authoratative source of information on the technology of straw bale building is long overdue, and raises both the art and science of low-impact building to a new level." "You hand the book to your engineer, and s/he will know what to do with it, the author has done all the homework for the engineer. This book is in a league all on its own; it is the next generation in straw building. Your banker will stop laughing when s/he sees the book also. I am a lay man and it made perfect sense to me." "Most books of this sort are long on enthusiasm and short on useful information. As a professional engineer, I now have just what I need to design a straw bale building in an earthquake zone." "If you're looking for inspiration to build an eco friendly house, this is not the book for you. If you're past the point of inspiration and in need of real information, then this would be a good choice. A very comprehensive collection, from structure to accousitcs to information about the performance of various building materials. This is a great place to start if you're serious about building a straw bale house." "High level, and written like an engineering text book. I would not venture into a strawbale build without this info." "This book was exactly what I was hoping for. It's easy to understand, but full of details and charts which every owner-builder will need to get council approval (and an engineer's certification) for a new house. Definitely recommended." "For architects especially - dealing with technical issues and codes - and serious others as well, this is THE must-own book to get on the intelligent, competent and wise use of straw bales in building construction. And do not forget the Art along the way. Editor/Engineer Bruce King and his team of top expert contributors make it all accessible, exciting and enticing to any adventurous designer considering use of this stimulating new/old material."